Businesses have seen a greater need to have an online presence in this digital age. Social media has been used as a marketing tool & customer engagement platform. With that being said, what separates a good social media marketing strategy from a great one? A great social media strategy is one that will do all of the things listed below. What is the goal of your business? Do you want to increase customer engagement? Do you want to advertise digitally? Your business goals will determine how you use social media. 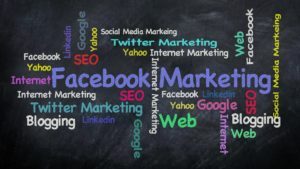 For example, if you want to increase online sales, you may put together a budget to be used on Facebook and Twitter for promoted/sponsored ads. However, if you want to increase customer engagement, you would want to have a team engage with customers on those same platforms. It’s important to ask yourself if your social media marketing strategy is accomplishing your primary business goals. After you know what your business goals are, you want to have a way of measuring business goals. You can do so by having clearly defined metrics of “success”. If you are doing digital sales, analyze your conversion rates before and after initiating your plan. If you are looking to boost visibility, look at your viewership count. The most important part of measuring results is to look at the before, during, and after of your social media marketing plan. What has the competition done in the past? Let’s say you funnel $1,000 dollars into social media advertising every month, which nets you $3,000 in revenue and $2,000 in profit. You then decide to put $5,000 dollars into advertising. The result is $6,000 in revenue and $1,000 profit. Great social media strategies are ones that are constantly revised in response to changing business conditions. If your business goal is revenue maximization, you may want the second strategy. However, if you want to remain profitable, the first strategy may be better for you. Let’s say you have $5,000 for advertising. 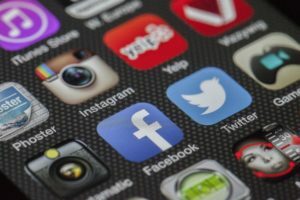 Starting off, it would be better to have that $5,000 split across a few social media platforms – let’s say Facebook, Twitter, and Reddit, rather than having all $5,000 in one platform. If you spend all your money on one platform, you may never find out how it performs on other sites. If you find out that your conversion rates are higher on Facebook, then at that point in time, it’s time to constantly revise (see the previous step) and make changes to your budget allocation.